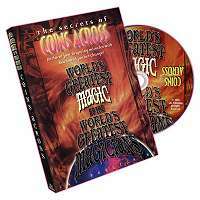 Of the various plots that make up the world of coin magic, Coins Across has always held a special place in the heart, and repertoires, of close-up magicians. Audiences always seem to be intrigued by the idea of coins traveling invisibly between the performer's hands, which accounts for the enormous popularity of this very magical effect. 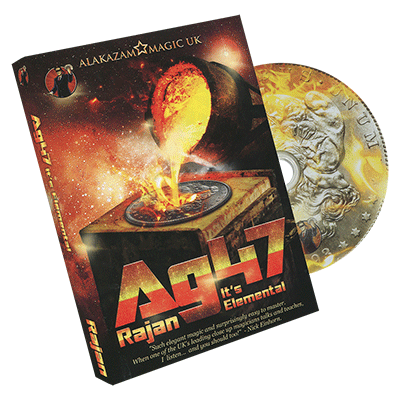 On this DVD, you'll see ten different takes on the Coins Across effect. The approaches are different but the main thing they all have in common is that there are absolutely no gaffed coins required for any of the versions presented here. You'll see Johnny Thompson perform Dai Vernon's Winged Silver, perhaps the version that started it all. Michael Ammar demonstrates why his Incredible Coins Across is appropriately named as the coins travel into the spectator's hand – and the last one appears visibly in his open hand! You'll find easy-to-do versions such as Alexander de Cova's Chinese Money Mystery and Paul Diamond's Flying Eagles to more technically-demanding versions such as Jay Sankey's Mr. Clean Coins Across, Michael Close's Too Ahead and Ross Bertram's Passing the Buck. From classic handlings from Michael Skinner and Al Schneider to interpretations with a surprise ending, such as Fernando Keops' offering, there's enough material here to enable you to pass coins back and forth between your hands for a lifetime.